Marvel movies often have a cheeky cameo or two, sending fans into a tweet-worthy tizzy of excitement. But how could we have missed a cameo from The Daily Show’s Trevor Noah, during what was one of the most tense moments in Black Panther? The 34-year-old presenter had a drop-your-popcorn-and-you’ll-miss-it role during the superhero movie’s climactic battle scene, giving a human voice to the AI system invented by Shuri and piloted by Everett K. Ross. 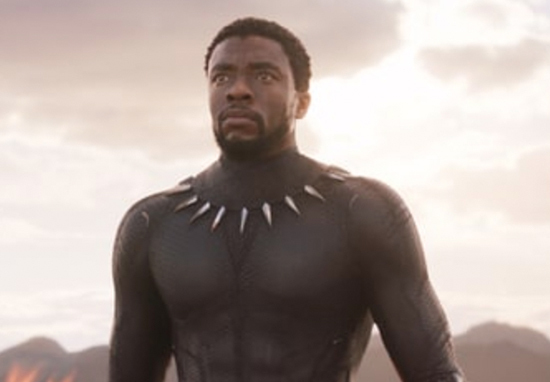 His ‘character’ was credited with the name Griot, however the usually eagle-eyed Marvel fans are only just noticing Trevor’s presence in Wakanda, and are genuinely surprised. Although he had a fairly modest part to play, Griot was still crucially important when helping to save Wakanda from Erik ‘Killmonger’ Stevens. Trevor’s role has finally come to greater attention after it was noted on Marvel‘s subreddit, and movie buffs everywhere are tweeting about their collective shock. Totally shook after finding out Trevor Noah was the voice of the ship that CIA Agent Everett Ross was piloting towards the end of Black Panther. Trevor Noah is in Black Panther ???????. How did I miss it? Trevor Noah appeared in Black Panther? ? So we're all just going to pretend we knew Trevor Noah was in Black Panther? Okay. There were subtitles, and I was like, I don’t need your subtitles! I don’t need your subtitles! This is just for me right now! Nobody else listen! This reminds me of my mom. It’s an amazing Marvel film. It’s one of those things where I guess some people got too hyped up the wrong way about it and they’re like, ‘So is it a black film?’ It’s like, no, it’s a film. It’s the same way Wonder Woman was a dope movie and if you were a woman, it was extra special, you get what I’m saying? Black people are just like, ‘Yeah, it’s a dope movie, and if you’re black, this is an amazing movie,’ that’s all it is. Then you get some people, you get some random people be like, ‘Oh, can you imagine if white people made their own movie?’ You mean, movies? Is that what you mean, movies? Is that what you’re saying? It’s like, no, man, it’s just a fun movie, everyone can go, you have a good time. Black people enjoying themselves, it was dope. 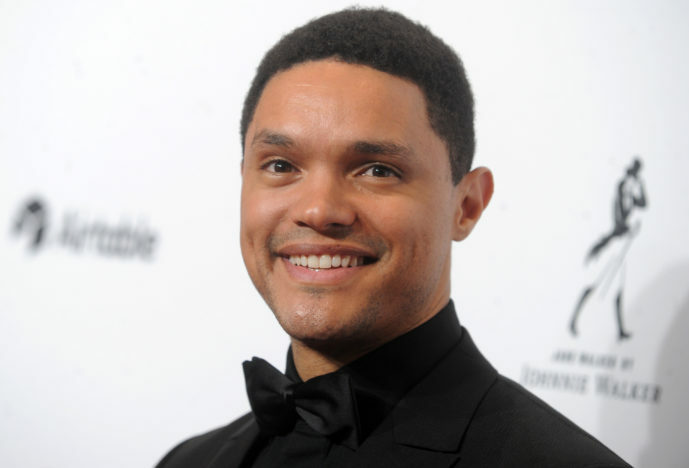 Trevor Noah voiced Evrett Ross' ship in the Black Panther and I'm only realizing this now??? One of the coolest things I found out this week is @Trevornoah is in #BlackPanther and kept the secret through all the times he mentioned the movie. Such a cool Easter egg. Kodwa @Trevornoah unani? Why didn't u tell us u were in #BlackPanther ? This interesting new revelation is the perfect excuse to go back and rewatch Black Panther all over again. It could be the perfect opportunity to see what other details we’ve been missing! It seems that Trevor Noah somehow had a cameo in Black Panther? Did anyone notice or anything?